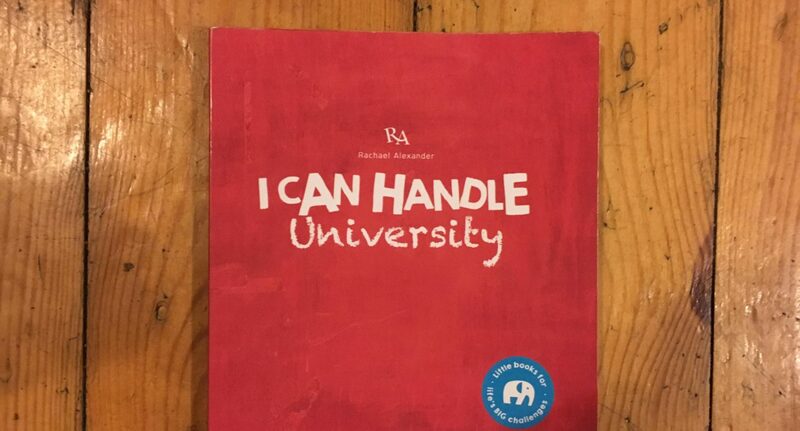 This pocket-sized book is a handy guide to doing university the right way. With a special focus on wellbeing, making the most of opportunities and having fun, I Can Handle University takes a holistic approach to student life. Starting with Freshers Week and ending midway through first year, the book is a useful helper for any freshers feeling a little out of their depth at university. But with lots of succinct tips covering accommodation, friendships and lectures, this small book might prove useful to students still feeling a little out of their depth after first year. With sections for the reader to fill in, it’s less a self-help book than a book of self-improvements. I Can Handle University wants to prompt readers to come to their own conclusions. Written in a conversational way, it’s a breeze to read and is filled with photos, quotes, and illustrations. For students struggling to deal with moving away from home, leaving behind their support networks and attempting form new ones, Alexander sets out a step-by-step guide for a seamless transition. From dealing with issues like lack of sleep and anxiety to helping readers to implement positive attitudes, I Can Handle University navigates both the positives and negatives of moving to a new place. This is the way that the book continues to work, it helps you address your problems, then encourages you to move past them in realistic and achievable ways. Alexander’s book is available through her website.